Fredericksburg Road was one of the main passageways from Fredericksburg during the 1860s and still remains a prominent route today. Today it is called Route 208 which passes northeast to southwest through Spotsylvania County. Spotsylvania Courthouse is located on this road and the Battle of Spotsylvania Courthouse took place on and around it. The image below demonstrates a new road project as of July 2007 to create a small bypass. Route 613 is Brock Road which was also a pivotal route during this Civil War battle (Virginiadot.org). Prior to the Battle of Spotsylvania Court House, Grant and the Army of the Potomac hoped to force the Confederates into a battle on their terms. If Grant could get in between the Confederate Army and their capital at Richmond he could force a confrontation on his own terms (Cannon 18). The best way to initiate a fight that Grant could imagine was to take a position at Spotsylvania Court House, and Todd’s Tavern [also nearby and on Brock Road] (Matter 22). Thus, Fredericksburg Road was a great supply line for the Army of the Potomac during this encounter. This was at their rear and was therefore protected from Confederate attack. The supply line was used to transport supplies, orders and letters, injured soldiers and Confederate prisoners of war safely to their destinations. Another perk of being in close proximity to Fredericksburg was that this city was a central hub that had many roads leading outward in different directions including north from whence the supplies were shipped. The Rappahannock River was also close by which was a key to receiving supplies via ships. The Spotsylvania territory that they were occupying was also open ground so that the Union Army could take advantage of their superior technology and supplies to beat the Confederates. The Confederates would have less of a chance in an open field free-for-all against superior numbers (McPherson 297). 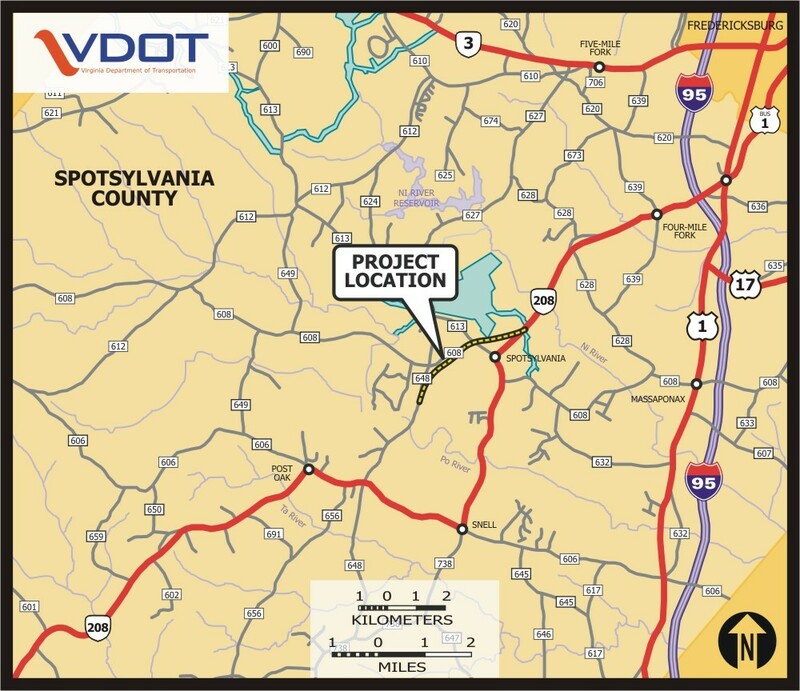 Virginia Department of Transportation, “Map of Construction,” http://www.virginiadot.org/projects/fredericksburg/route_208_courthouse_road,.asp (accessed April 10, 2008). 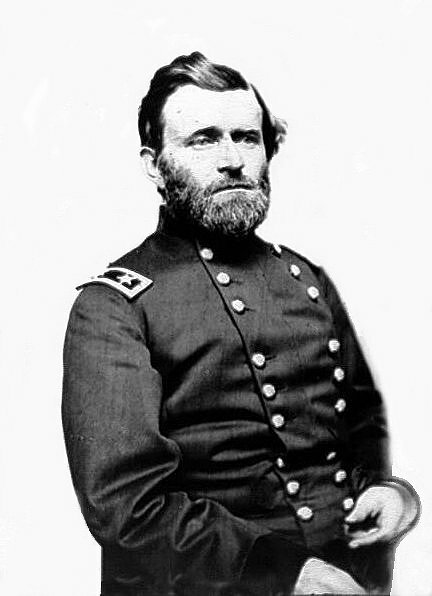 Facade.com,“General Grant,” http://www.facade.com/celebrity/photo/Ulysses_S_Grant.jpg (accessed April 10, 2008). Badeau, Adam. Military History of Ulysses S. Grant, from April 1861 to April 1865. New York: D. Appleton and Company, 1868. Bearss, Edwin C. Fields of Honor: Pivotal Battles of the Civil War. Washington, DC: National Geographic, 2006. Cannan, John. Great Campaigns: The Spotsylvania Campaign, May 7-21, 1864. Conshohocken, PA: Combined Publishing, 1997. Gallagher, Gary W., ed. The Spotsylvania Campaign: Military Campaigns of the Civil War. Chapel Hill, NC: The University of North Carolina Press, 1998. Longacre, Edward G. General Ulysses S. Grant: The Soldier and the Man. Cambridge, MD: Perseus Books Group, 2006. Matter, William D. If It Takes All Summer: The Battle of Spotsylvania. Chapel Hill, NC: University of North Carolina Press, 1988. Smith, Jean Edward. Grant. New York: Simon & Schuster, 2001. “Under Construction.” Virginia Department of Transportation. http://www.virginiadot.org/projects/fredericksburg/route_208_courthouse_road,.asp (accessed April 1, 2008). This entry was posted in 1800s, Civil War, Elle, Location, Routes, Spotsylvania and tagged Battle of Spotsylvania Courthouse, Brock Road, Confederate Army, Fredericksburg, General Grant, Rappahannock River, Union Army on March 20, 2008 by eweaver.